Capcom announce cross-region functionality, off-TV play and free DLC for the upcoming Monster Hunter 3 Ultimate. 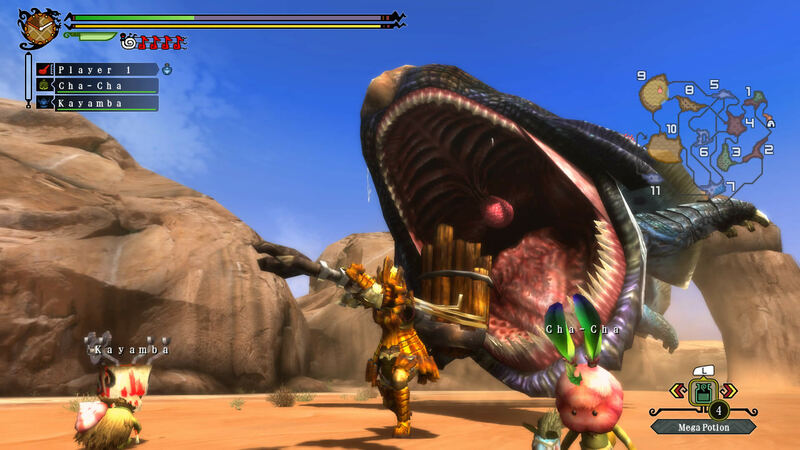 Leading up to the March 23rd release of Monster Hunter 3 Ultimate for Wii U, Capcom and Nintendo have detailed their plans to roll out a software update that will allow for online cross-region functionality. Arriving in April this patch will grant gamers from Australasia, Europe and North America the ability to fight alongside one another in epic battles of up to four players at a time. Monster Hunters who are forced to share the use of a television will undoubtedly be pleased to hear that the game will be able to be played solely on the Wii U Gamepad, as the aforementioned software update will make the title compatible with off-TV play. A free demo for both the Wii U and the 3DS is currently available from the Nintendo eShop, allowing fans to “get a glimpse of the incredible adventure that awaits”. Capcom will be supporting the title for several months after release with free DLC in the form of extra quests, the first of which will be available at launch.